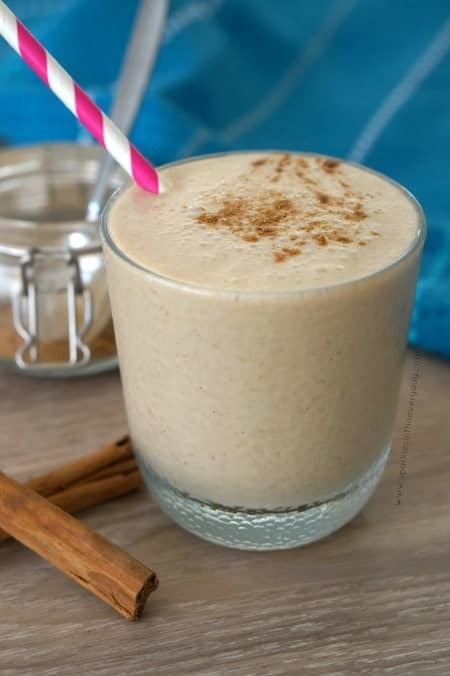 Easy Chai Spiced Banana Smoothie! A delicious vegan and gluten free, easy Chai Spiced Banana Smoothie that is creamy (without the cream) and has a hint of warming chai spice! To make this Chai Spiced Smoothie easy, I simply make up a batch of the spices and store it in a airtight jar. Add all ingredients to a high-speed blender. Blend on high until smooth and creamy (approx 2 minutes). Pour into a glass and serve immediately and add a little extra chai spice on top. *This recipe gives a light Chai flavour but if you prefer a stronger Chai flavour simply add two teaspoons.